Death Metal Legends OBITUARY To Head Out On East Coast Tour! Florida death metal legends OBITUARY have announced they will be heading to the East Coast for a tour with Exmortus this September! Check out all the dates and details on the inside. 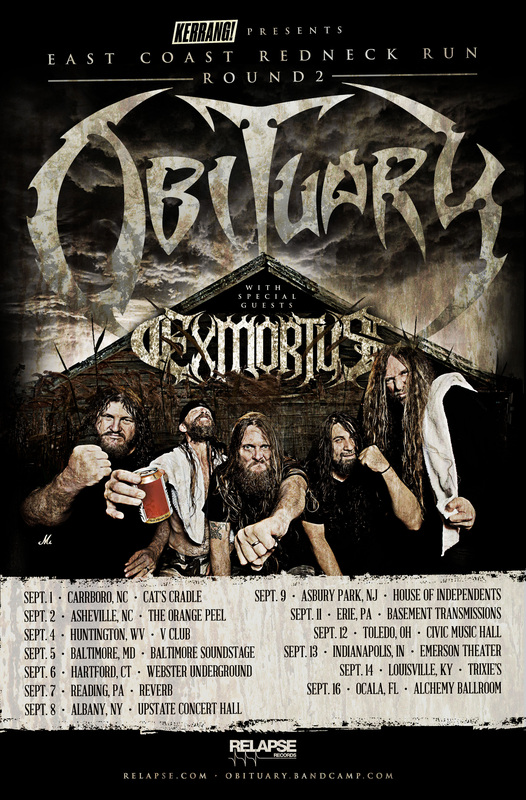 Death metal legends OBITUARY return to the US in September with Exmortus. The headlining East Coast tour begins September 1st in Carrboro, NC and ends September 16th in Ocala, FL. All confirmed tour dates are available below. “We are super excited to announce the U.S. East Coast RedNeck Run II and are really looking forward to this. It would have been easy to set up shows in the typical cities and venues but we are not your typical band. We are looking for an adventure and something different so we have booked smaller towns and markets so the fans who don’t often have the chance to experience an OB SHOW get their chance!! We have never been to some of these cities so we are looking forward to invading them and throwing down with you guys!! 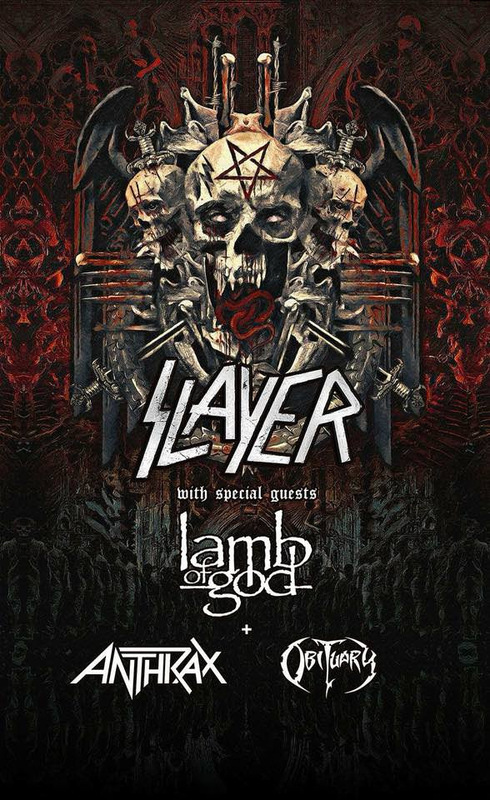 Following the US East Coast tour, OBITUARY head to Europe in November to perform with Slayer, Lamb of God & Anthrax on a 24-date tour. OBITUARY recently announced a re-issue of 2017’s self-titled full-length release, featuring two bonus tracks not included on the original pressing and alternate artwork,. The band will also release the first official vinyl pressing of the Ten Thousand Ways To Die EP, featuring live recordings of twelve classics and fan favorites from the band’s storied catalog recorded on their 2015 world tour! The limited edition OBITUARY vinyl are due out August 31 on Relapse Records. Pre-Order via Relapse.com HERE. The band’s animated video for the song “Ten Thousand Ways To Die” has surpassed over 2 million views and can be viewed HERE. Watch the band’s recently released video for the song “Brave” AT THIS LOCATION. A full collection of OBITUARY music videos and live performances is available HERE. OBITUARY’sself-titled album received high end of 2017 praise charting on notable album of the year lists such as Rolling Stone (#14 – Best Metal) Revolver (#11), Decibel (#14) and Loudwire (#21) among numerous others.